Bringing on finance can provide a powerful springboard for your business to shoot higher, but each one is quite different and it’s important to choose the right one for your situation. As a small business owner, you’re naturally ambitious and spend time each day thinking about the big dreams you have for your business – the ones that make your skin tingle with excitement. 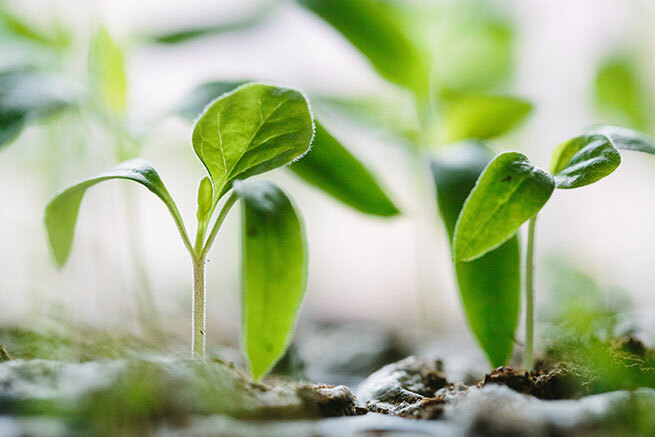 As your business grows and blossoms, opportunities for new ventures naturally arise and the resources needed for expansion start to increase. Over time your office space needs to get bigger, more team members need to hiring, new inventory needs adding and more shops need opening. As you arrive at each of these key decisions, however, when an investment needs to be made, it’s all too common for some small business owners to check their cash on hand, run an eye over their cash flow, and say ‘maybe in the distant future, when we’re doing a bit better’. They ignore financing options because they believe their business should be generating enough profits to fund expansion. If it’s not, the business has failed. Often the initial outlay for growth deters businesses from taking the next step in their development. Equipment, inventory and creative assets to name a few all cost money at first, but the returns later more than make-up for it. If your business model is successful, the outlay becomes merely a mental obstacle holding you back from natural growth. This is why capital financing was created – to help businesses with capital to jump the financial hurdles and keep running forwards. And two of the best options for small businesses are venture capital, where someone else invests in you, and capital loans, where you borrow and pay the money back later. Both can provide a powerful springboard for your business to shoot higher, but each one is quite different, and it’s important to choose the right that suits your situation. Here are the pros and cons of both to help you decide which one can help your business grow faster. For business owners happy to hand some of the reins to others who can help them grow, venture capital is the option business owners generally go for when they want to accelerate as fast as possible. With venture capital, finance is provided by a specialist firm as an investment in you in return for a stake in the business. The stake can be anywhere from 1% to 49%, depending on the funding and size of the entity. However, this means the money is yours, and you don’t need to pay it back directly – the venture capitalist’s reward is the value of their stake growing higher when your business starts seeing success. Unlike a loan, you need to pitch and sell your ideas to these firms so they see your business as a smart investment. Panel members on the popular show Shark Tank make decisions from catchy on-the-spot pitches, but in reality, this process can take considerable time and it can be months or years before you receive the money you need. Perhaps the biggest trade-off for small business owners with venture capital is relinquishing creative control of their finances. Firms usually want some kind of influence. The plus side, however, is the firms often have sophisticated networks and can provide invaluable commercial support to make sure your operations are successful. It is, after all, in their best interest! If you’ve got a vision and know exactly how to make it happen, a capital loan is a much more solid option than the often gruelling process of obtaining venture capital. The application process is straightforward – there are few hoops to jump through aside from the lender doing their due diligence. There’s no popularity contest which makes the process refreshingly fast, and soon after the loan is approved the funds will hit account and be ready to roll. Since it’s a loan you will need to pay it all back with interest, but you’ll know the timeline in advance and can plan yourself accordingly. There are plenty of loan types with different terms and conditions out there, so when hunting for your perfect loan it’s important to do your research, ask plenty of questions and go with an experienced lender you can trust. 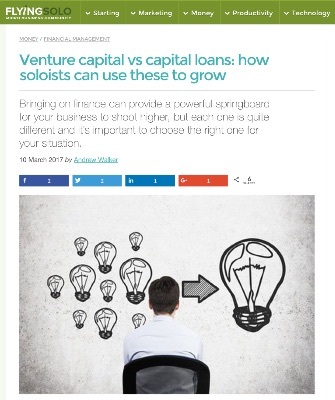 Whereas venture capital deals need to be reported to ASIC and firms retain some control, capital loans are completely private and you can do with the money what you want once the loan has been approved. You can walk away with the funds and start putting them to good use the way you see fit. Cash on hand shouldn’t be a roadblock when it comes to growing your business. If you’re enjoying success and heading in the right direction, venture capital and capital loans are great ways to jump some of the hurdles associated with business expansion. So if your business is growing, but your cash on hand won’t cut it, consider using venture capital or a capital loan to keep speeding you closer to your skin-tingling dreams. Have you ever used venture capital or a bank loan to grow your business?